*Certificate of Appreciation for exceptional support of the Annual Programs Fund by being #3 in Per Capita Giving for club size 26-60 members in the amount of $292.02! *Certificate of Appreciation for exceptional support of total giving to the Rotary Foundation by being #2 in giving for club size 26-60 members in the amount of $19,036.07! *Certificate of Appreciation for financial support of End Polio Now: Countdown to History Campaign. 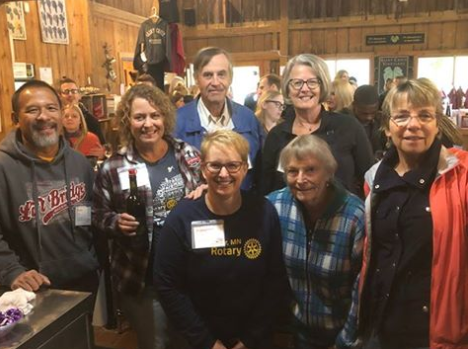 Rotarians volunteered to pour wine at St. Croix Vineyards on Saturday in support of Community Thread's Holiday Hope Program. 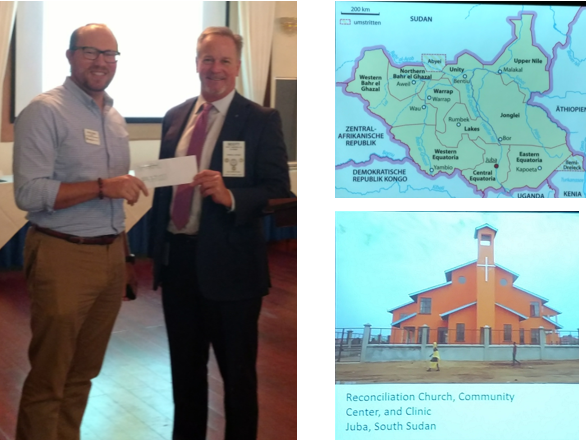 We gathered a bit earlier last week for a presentation from Andrew Steele, ELCA for an update on the Reconciliation Center and Clinic project in Juba, South Sedan. 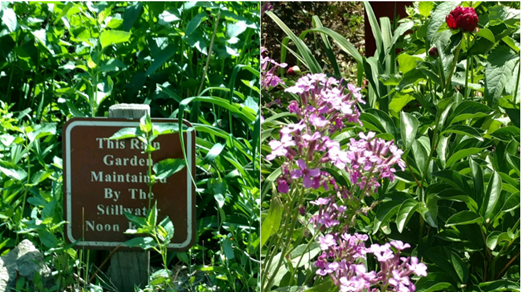 consider a detour to take you past our Rain Garden. Background and update on Tanzania project.